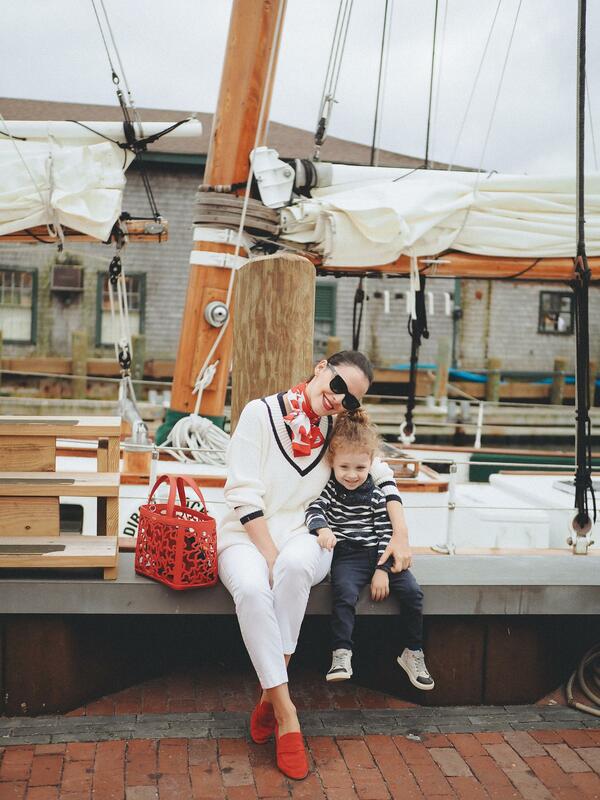 Besides that, she was extremely good and comfortable in this vacation and we all enjoyed, visited everything we planned to, we even had a picnic with an ocean view but for all these, you have to wait and see all the posts here, one by one. 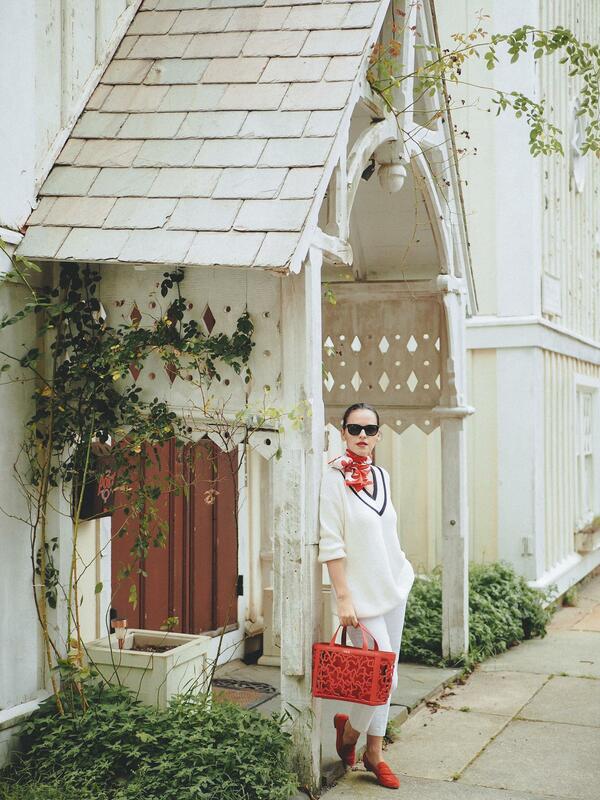 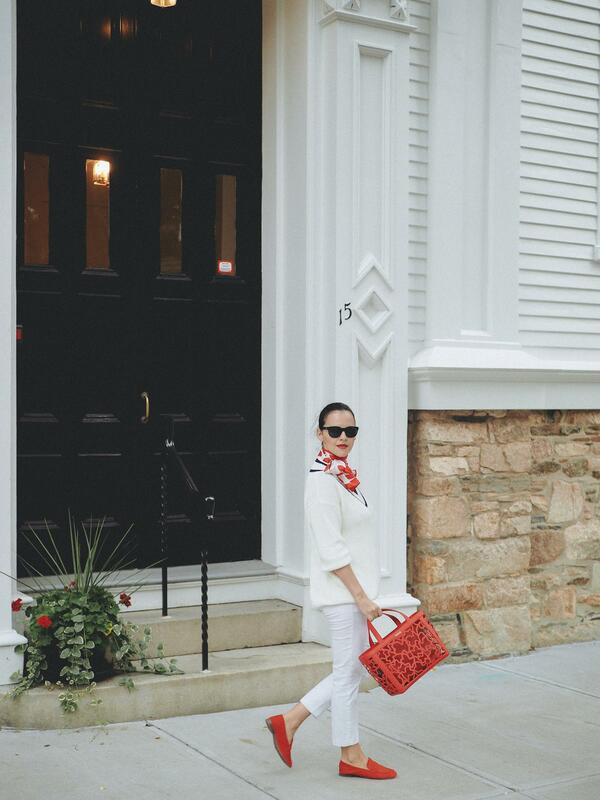 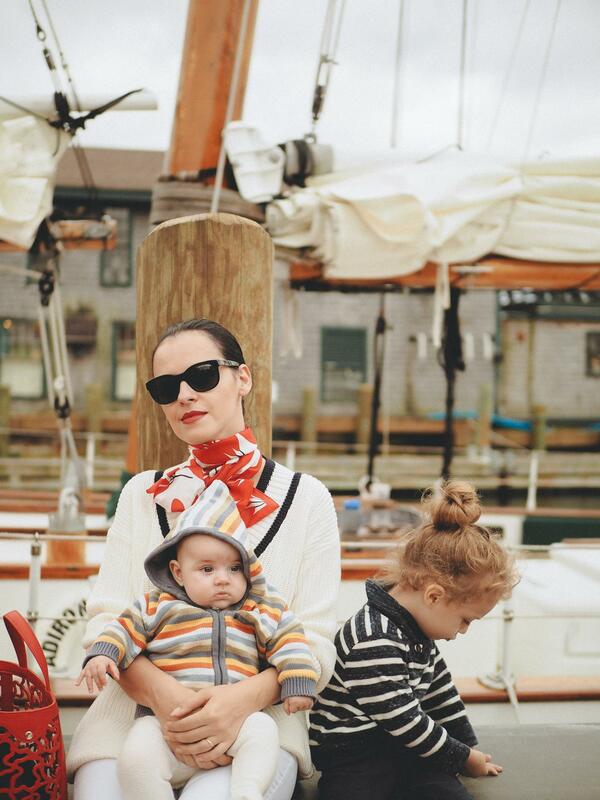 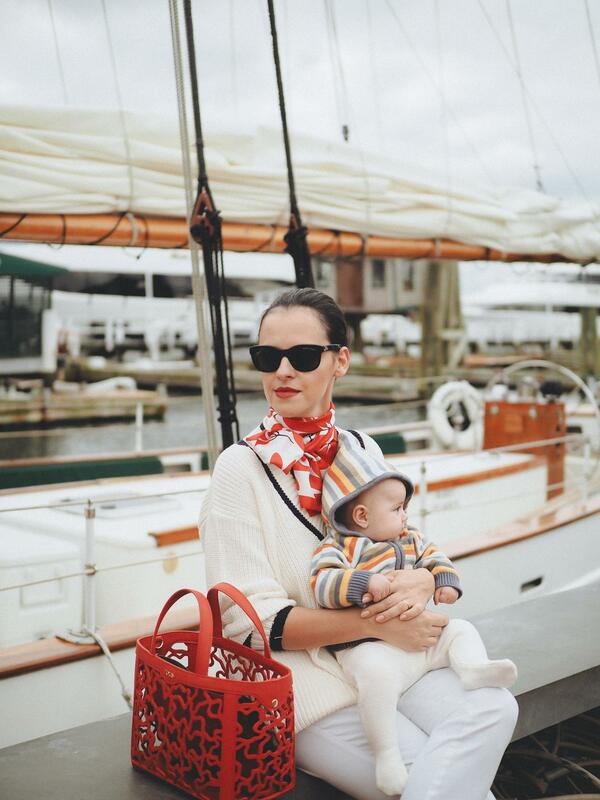 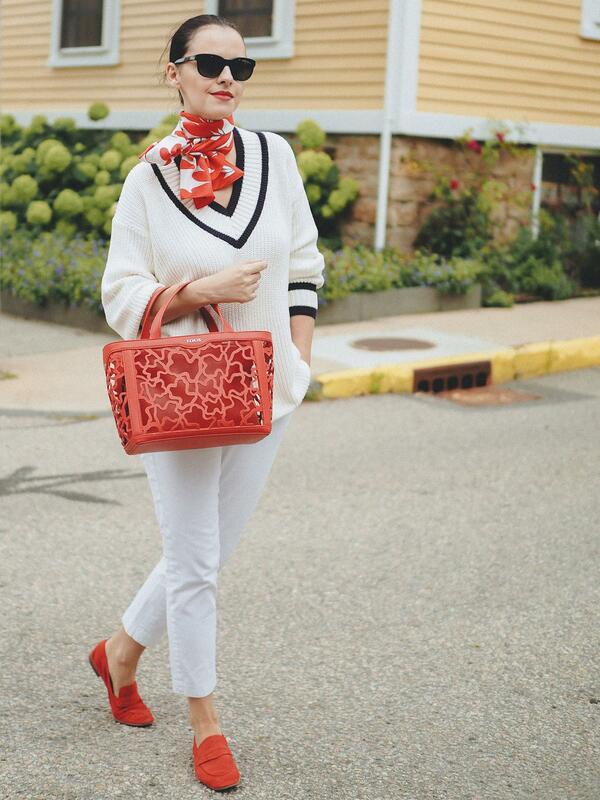 Today's post includes photos from our first day in Newport, and like almost all my outfits worn there, it is pretty obvious that the color white predominates, especially in a combination with red. 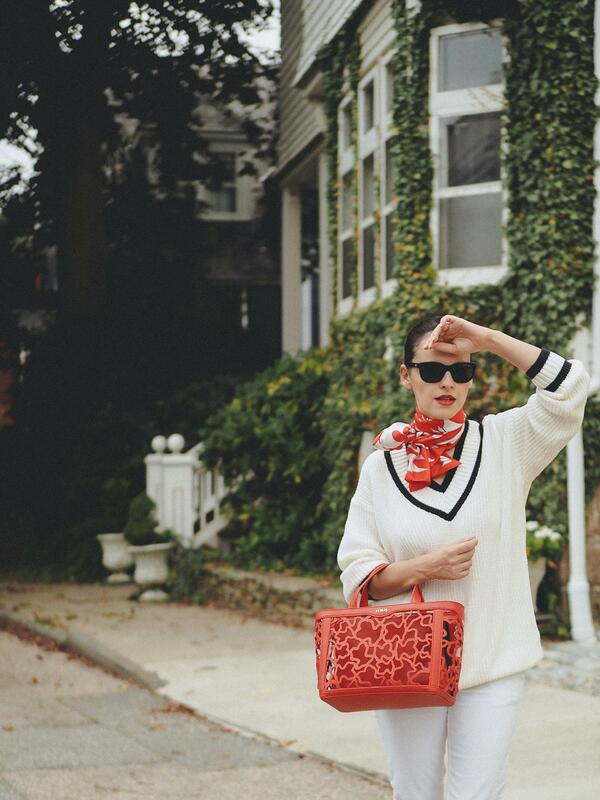 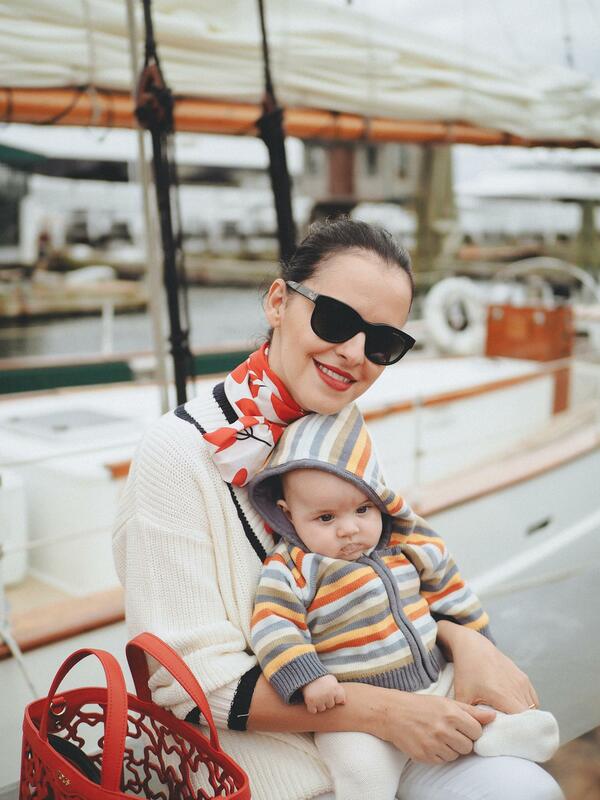 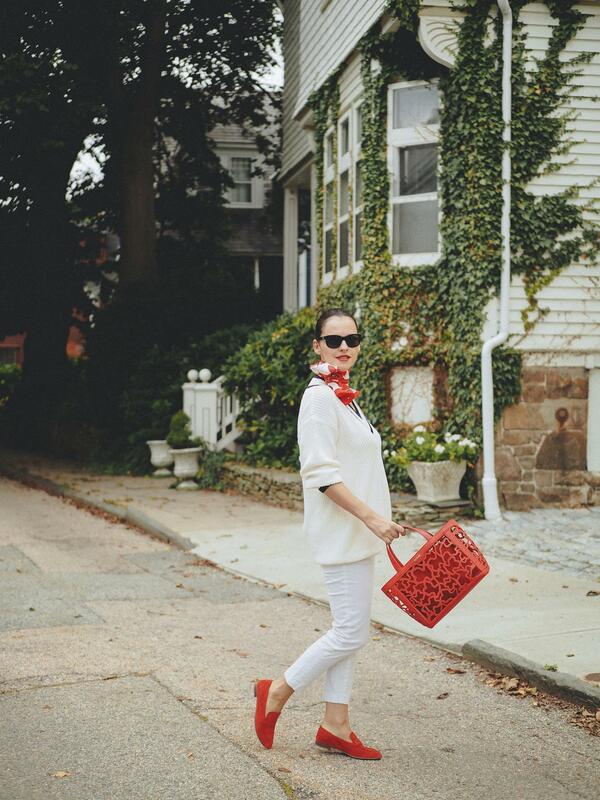 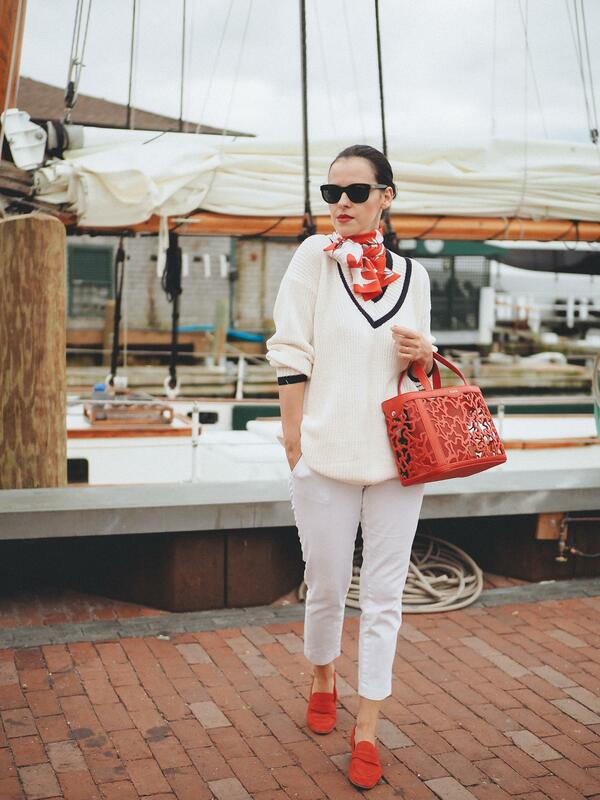 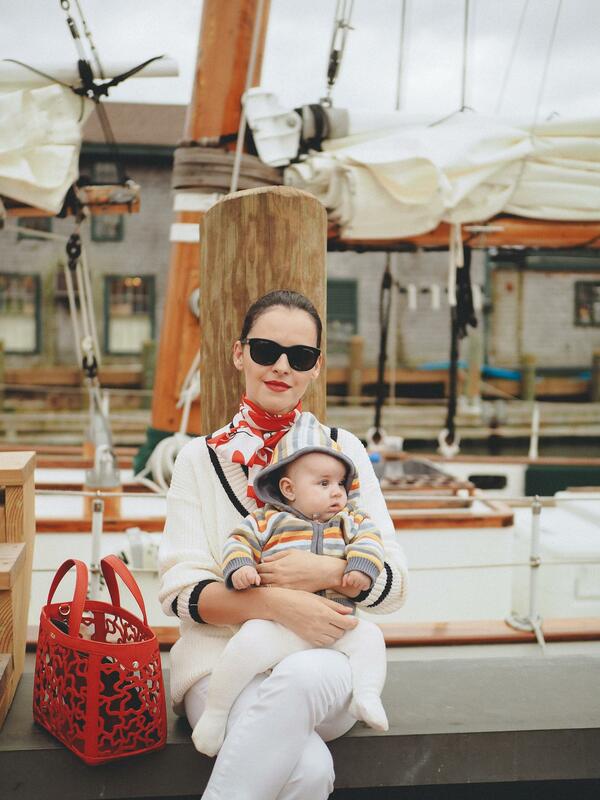 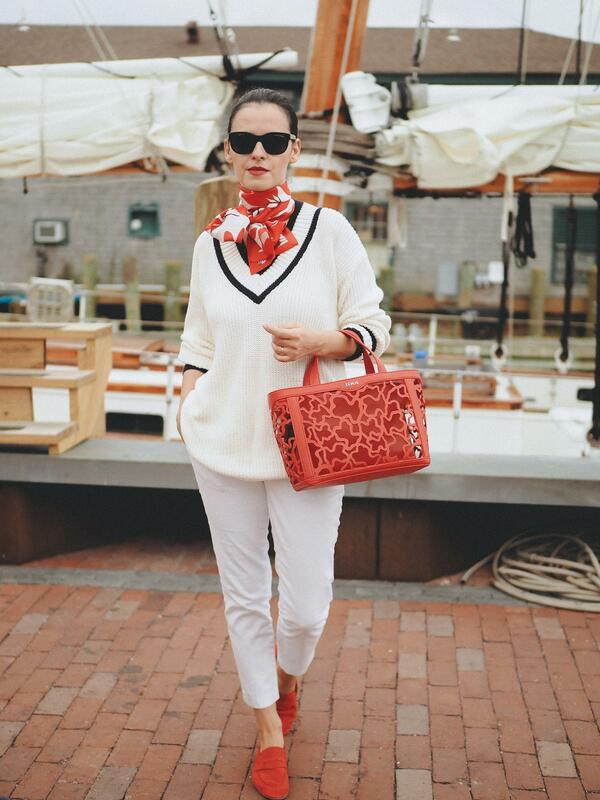 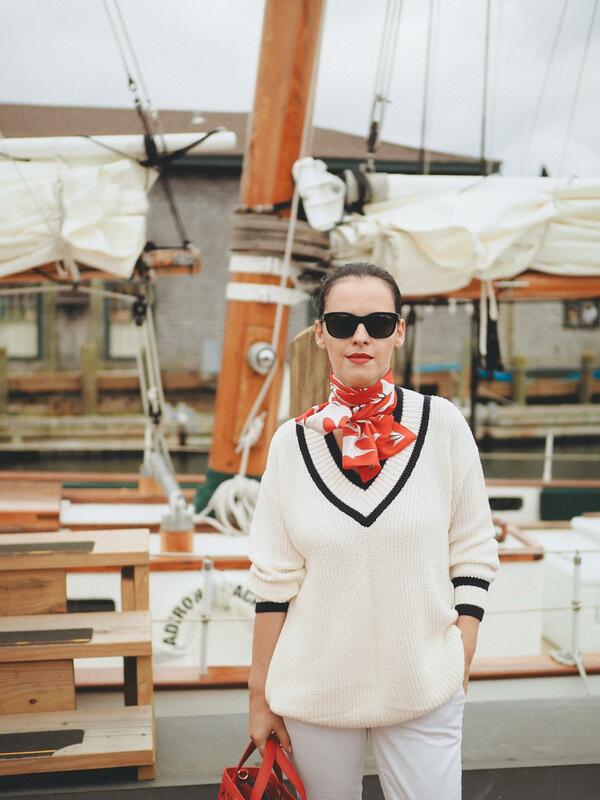 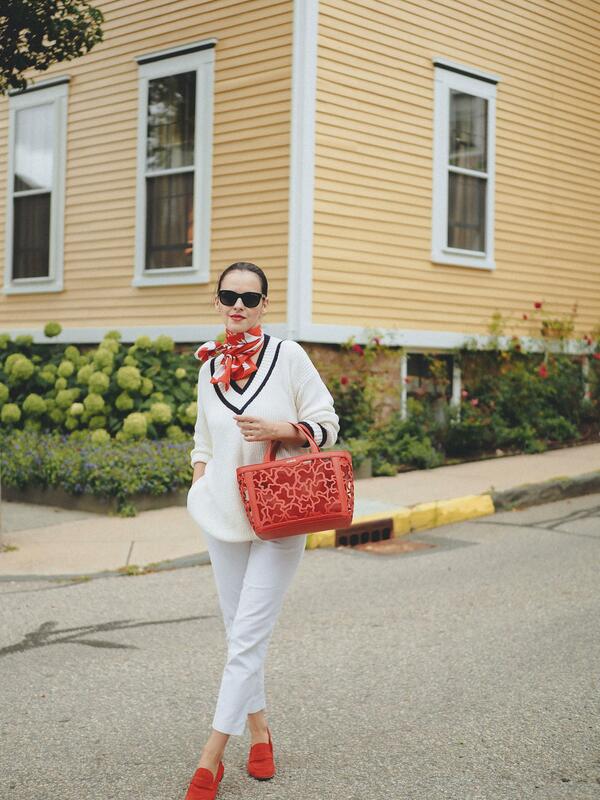 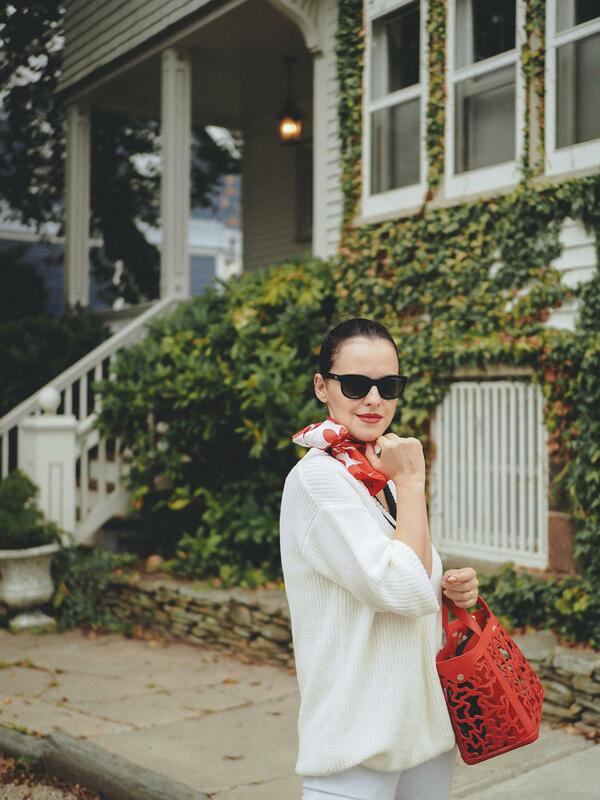 Casual pants and a chunky sweater with a few red touches will do it for a walk on the streets of Newport and of course the well known Bowen's Wharf. 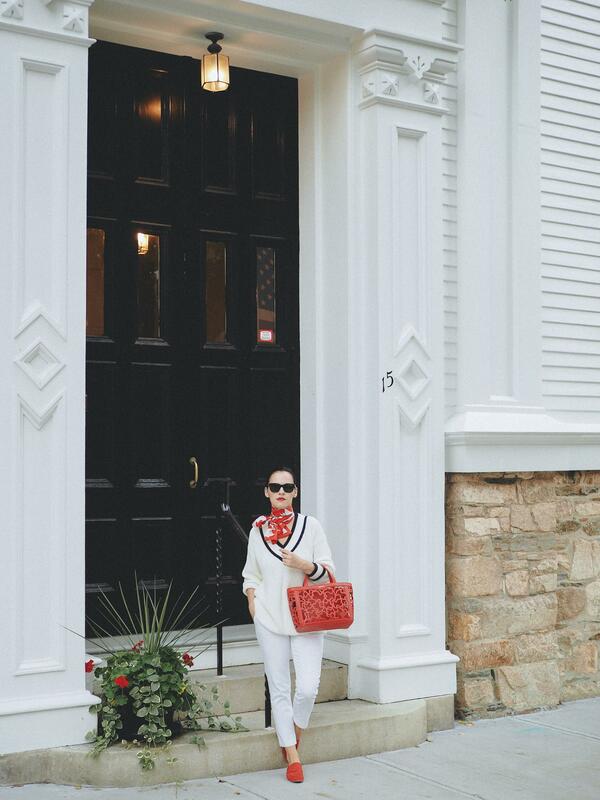 Newport is well known for spectacular coastal scenery, for its Gilded Age Mansions (you will see one of my favorites in a post later on), as well as being the yachting capital of the world. 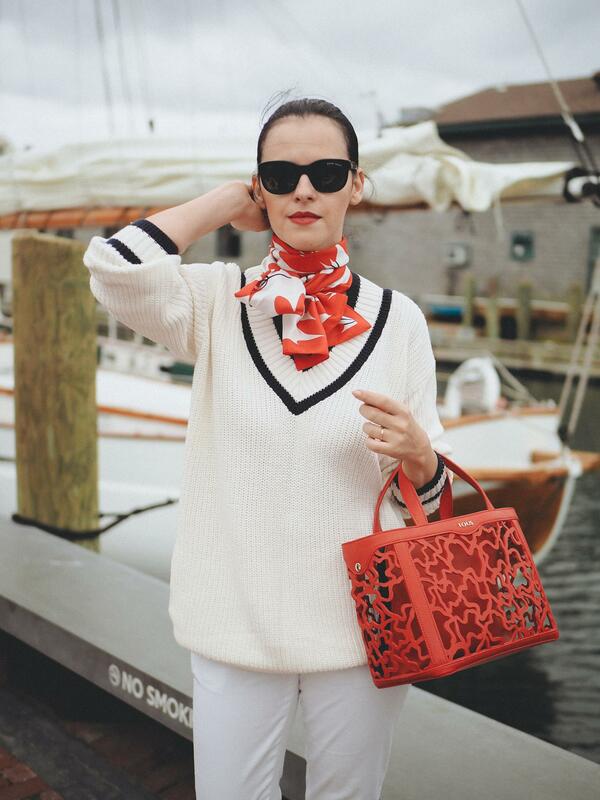 For so many reasons Newport RI is one of my favorite destinations and each post reflects a reason why I keep wanting to come back here every year.